The only AAHA accredited veterinary hospital in Phenix City and Columbus area. Our Mission ~ Improving, extending, and saving the lives of animals and their people. We will always deliver the highest level of care for your pets, because they deserve nothing less. Keeping your pet healthy and happy is our goal. Read about Fear Free Happy Homes and join for Free! 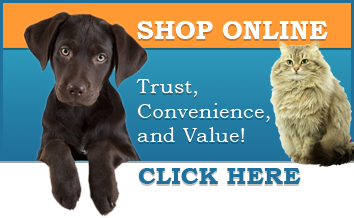 Companion Animal Hospital is an accredited member of the American Animal Hospital Association. This recognition means that our Veterinarians, Care Team, and Staff uphold the highest standards in veterinary medicine. AAHA sets standards in 18 different areas for quality pet care in veterinary hospitals. Why does accreditation matter? Click here. the Companion Animal Hospital staff, our services, our hospital, pet information and more!